Discussion in 'iPhone and iPad Games' started by comingTouch.com, Aug 18, 2015. 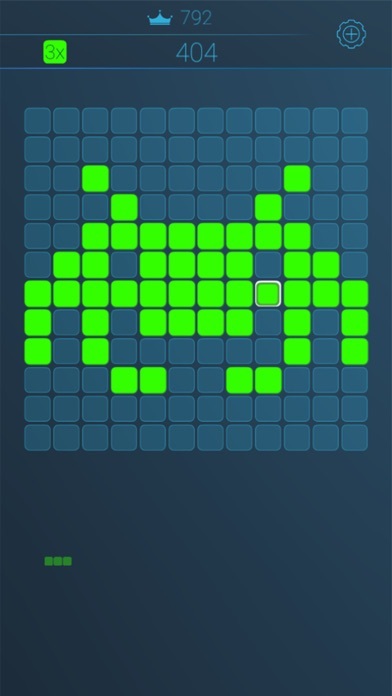 Block Tile Puzzle is a super-addictive brain teaser which is easy to learn but tough to master. 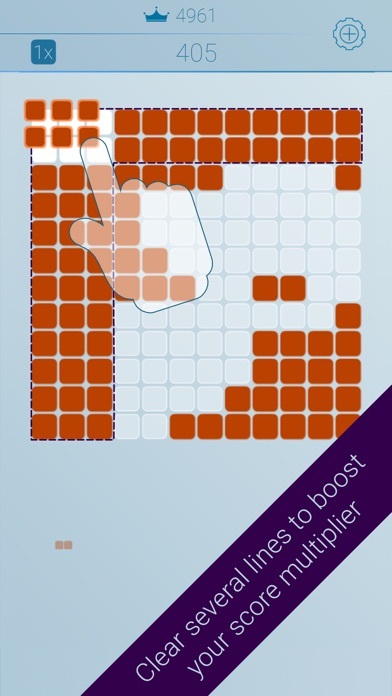 If you liked the all-time classic with the falling blocks or any Pentomino-like game, you will love this strategic block puzzle. Accept the challenge, enter the mania and beat your family's and your friends' scores. Become an epic legend while you crush high scores like dry cookies and climb the top of the leaderboards. 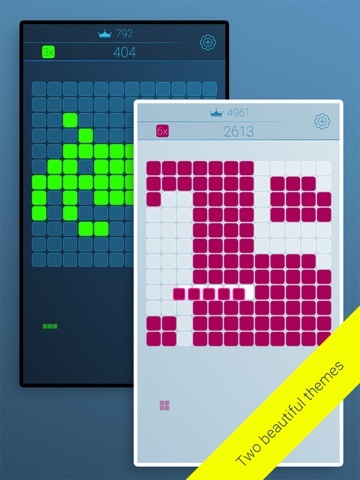 Acclaim ◆ AndroidGuys: 4.4/5 "Block Tile Puzzle one of the better games out there. 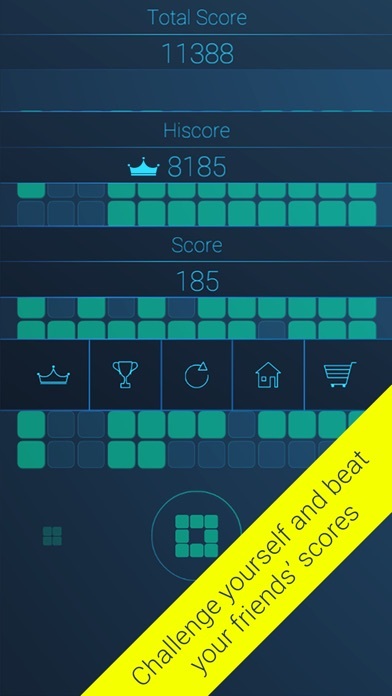 With entertaining gameplay, ease of use and simplicity, it sure gives its Play Store competitors a run for their money." 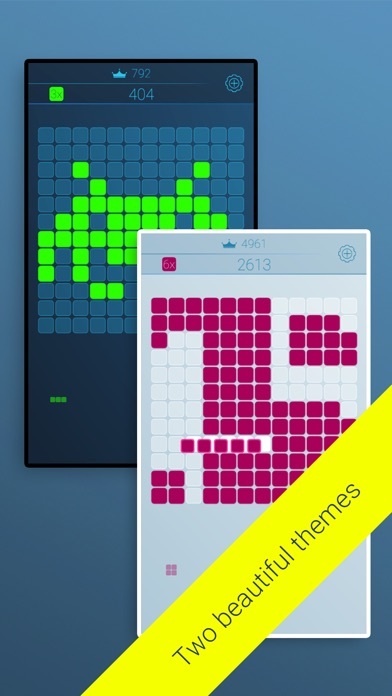 ◆ ◆ AndroidTapp: 4.7/5 "Block Tile Puzzle – totally addictive brick crusher game" ◆ ◆ Appszoom: 7.7/10 "A relaxing, fun puzzle with minimalist, elegant graphics" ◆ ◆ Freeapp2game: "If you liked Tetris you will love this game." 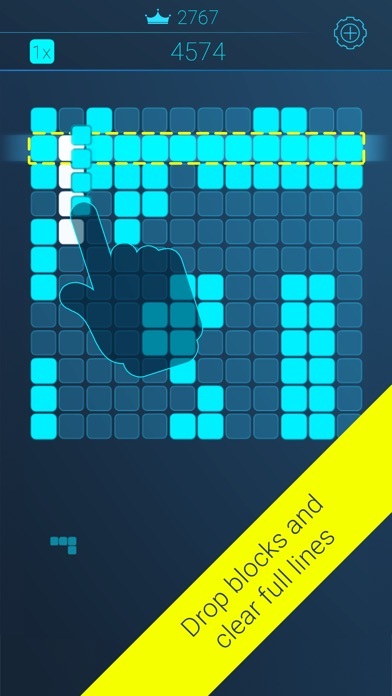 ◆ ◆ Indie Game Hunt: "Tetris Reinvented" ◆ Features: ◆ Simple but challenging gameplay. ◆ Intuitive one-touch controls. ◆ Clever reward system, smart block randomization. ◆ Several leaderboards and lots of achievements. ◆ Beautiful icons and sleek animations. ◆ Two different themes. ◆ Adjust the game according to your handedness. ◆ Persistent sessions: Play anywhere, anytime, continue later. ◆ No rush, no hassle. And no hidden, block flinging monkeys. The rules are simple! ◆ Drop blocks onto the board and build up horizontal and vertical lines. 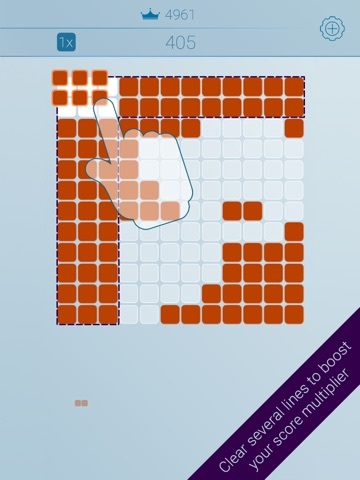 ◆ Boost your score multiplier by clearing multiple lines at once. ◆ But do not risk too much: The space on the board is limited. 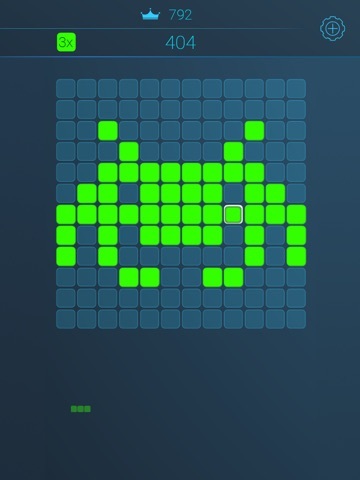 ◆ The game ends when there is not enough space left for the next block. 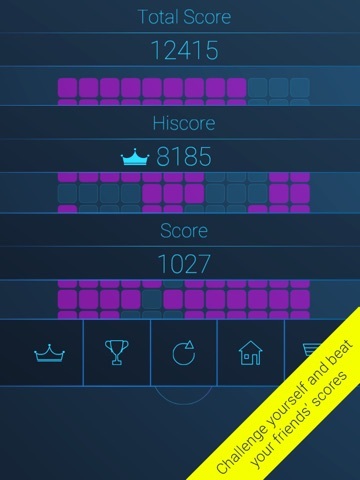 ▶ Facebook: http://www.facebook.com/blocktilepuzzle ▶ Twitter: http://twitter.com/frozenyocode Block Tile Puzzle is completely free to play, but we offer optional in-app purchases: ◆ AdsFree: Remove banner and interstitial ads. ◆ Multiplier Boost: Get a head start with a 7x score multiplier! This game may include: ◆ Direct links to the internet that can take players away from the game with the potential to browse to any web page. If you have any questions, suggestions or ideas for improvements, we'd love to hear from you. Please write to info@frozenyocode.com. On our own behalf: We love to play games. We love to make games. And we love to make games that we -and hopefully you, too- would love to play. Developing high-quality games is a very costly undertaking, price and time-wise. To get some of those costs back, we place ads in this game. Since we love to play Block Tile Puzzle ourselves, we tried to place those ads in a way to be not too intrusive. Enjoy and thanks for playing!